phone, on the other hand Nokia N8 which is based on Symbian^3 just has Thumbnailed Task Switcher. 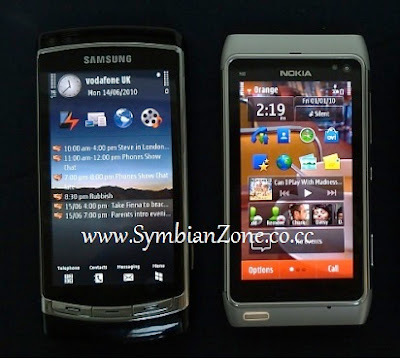 Nokia N8 should be having the task switcher like Samsung i8910 HD. What do you guys say? Do you agree with me? This entry was posted in Comparisons on by Admin.